Costco co-founder Jim Sinegal apparently has a ready-made market for a book about his life and times. If Costco is looking for its next best-seller, it might want to ask its co-founder, Jim Sinegal. 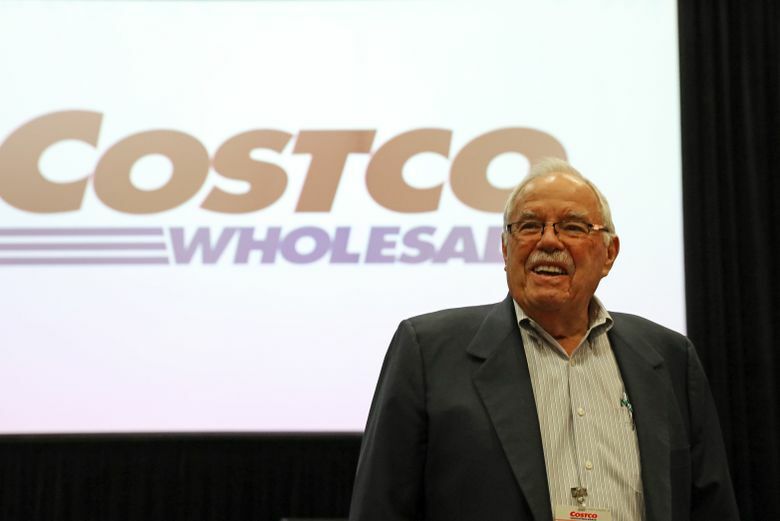 At the retailer’s shareholder meeting this week, one person stood up to ask company leaders for a book on Costco’s history. Another asked for an autobiography of Sinegal, who did not stand for re-election to the company’s board, ending his last official tie to the company he launched 35 years ago with Jeff Brotman. The crowd of Costco loyalists cheered. Craig Jelinek, who took the CEO reins from Sinegal in 2012, answered. The woman spoke with Sinegal — a notoriously accessible yet humble corporate chief, who has rarely talked about his private life — and they took a selfie together. Sinegal, 82, said in an interview that he gives talks at about 10 business schools each year. Asked to share advice he’s offering the next generation these days, Sinegal said to find a great mentor — his was Sol Price, founder of the Price Club, where Sinegal worked before founding Costco. The two companies merged in 1993.